White, who joins GW June 1 from Drexel University, brings broad cybersecurity and national security expertise to the position. Cyber attacks are growing and so is the demand for skilled cybersecurity professionals. The U.S. Bureau of Labor Statistics predicts an increase of almost 650,000 cybersecurity jobs by 2022. To keep pace with this trend, GW is ramping up program offerings to be on the cutting-edge of cybersecurity education, including the bachelor’s degree completion program in cybersecurity. White most recently worked as the director of the Computing and Security Technology Program and associate professor of National Security at Drexel University in Philadelphia, Pa. He is also part of Drexel University’s Cybersecurity Institute. 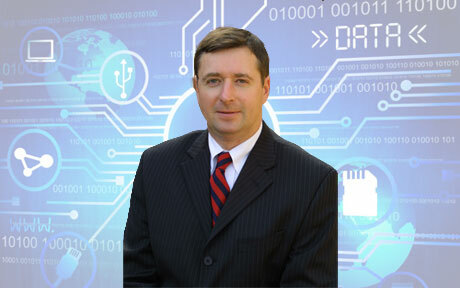 His areas of expertise include national security, cybersecurity and infrastructure protection. Before Drexel University he worked as the founder and director of the Institute for Homeland Security at Westfield State University, as a security and intelligence consultant for MONAD Security Audit Systems, Inc., and served as a commissioned officer in the Canadian Armed Forces and the Canadian Security Intelligence Service. He has a Ph.D. in criminology from the University of Bristol and an M.A. in political studies from the University of Guelph. White will also take a leading role in the development of the GW Cyber Academy, which offers educational programs, training facilities and applied research in the field of cybersecurity. “I look forward to being part of the new Cybersecurity Program and Cyber Academy,” said White.